Ads: Most of us hate them. Or do we? When my friends visit me in Hollywood, they say they love the billboards and bus ads here and on the Sunset Strip in West Hollywood. The commercials in the Super Bowl are such an anticipated part of the broadcast that there are news spots and blog posts about what will be airing. Back when printed magazines were popular, I loved getting my Seventeen, Rolling Stone, Sassy, and CMJ New Music Monthly magazines not just for the articles, but for the advertisements. CMJ also came with a CD compilation of lesser-known artists, which was an effective way to promote new music. They were basically advertisements to get you to buy their albums, which I did. I’ve found good deals and apps through sponsored content on Twitter and Facebook. Do we hate ads, or do we just hate bad ads? I use various ad blockers. There are websites that have advertisements that are not acceptable ads. In the case of Forbes, they have video ads that splash over the content while I’m in the middle of reading. In order to increase site visits, some articles are split into multiple pages, even when it’s a short piece, with no option to view as a single page. Since these obnoxious practices are even more obtrusive on mobile and I don’t know how to block this, I avoid going on sites like Forbes and The Baltimore Sun on mobile altogether. It doesn’t matter how interesting the link looks on social media, I won’t click it if I’m on my phone. My ad blockers give me the option to disable it on certain websites, meaning I’ll see the ads when I visit those sites. I use the disable option on sites that have acceptable ads. I completely understand having ads on websites. This blog here has ads to help cover costs of keeping the site up. Some companies make a big profit from ads and some bloggers and YouTubers earn so much from ad revenue, it’s their full-time job. And some sites have relevant ads for things their readers desire, so it’s a benefit for all of us. 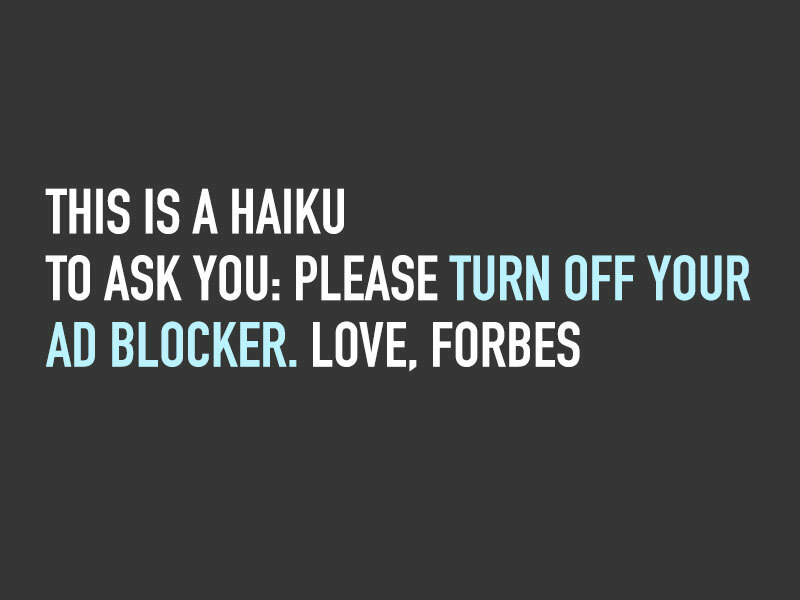 On sites like Forbes, I keep the ad blockers enabled because they don’t follow good advertisement practices. Websites like theirs is what made me want to install those extensions in the first place. There’s someone I know who is older and fairly new to technology. Her vision isn’t the greatest and it can’t all be fixed with glasses or enlarging the print. I’ve shown her how to spot scam ads and how to tell when something is an ad for an unethical site, not a related news piece. But this was all so confusing to her, especially while still trying to learn computer basics and because English is not her first language. So I installed an ad blocker extension on her browser. I don’t like taking away potential revenue for legitimate sites and products, but since so many others have tricky advertising, I felt it was necessary in her case. I didn’t want her falling for hogwash. People don’t need to be tricked into clicking. Advertising can rise above the noise by being useful – and even tasteful. The blinking and jiggling just annoys the real buyers, which means the people who do click did it either out of curiosity or because they are an unsupervised 6-year-old. Either way, an intrusive ad is not going to generate a sale – and it might just get you some negative press and ill will. Users can very well become interested in an ad, but advertising is not the reason one visits a website. You visit a site for its content, and therefore the page should not be sullied by ads that disrupt or obscure that content without permission – pop-ups and pop-unders, pre-roll video ads and the like. When ad placement and structure are done well, they may actually inspire you to explore more without resorting to nasty tricks. If it’s an advertisement, just say so! There’s a place for ads, and there’s a place for editorial. And there’s even a place for advertorials or native ads if they’re not camouflaged as editorial content. Good stuff is always welcome, but it needs to be genuine. We could be in the library, or on an airplane, or in a meeting … you never know when we’re going to click on an ad. So please don’t embarrass us with blaring sounds by default. If we want to listen, we’ll click. Website publishers need to manage the user experience with the user’s benefit in mind: don’t let inadvertently selected advertisers harm your brand. Accepting just any kind of ad to be shown on your website might be profitable in the short term, but allowing advertisers to compromise the user experience with obnoxious ads – or even scams – will not pay off in the long run. In short, Acceptable Ads aim to be appropriate to the audience of the site they are displayed on. Point five is particularly salient. Indeed. 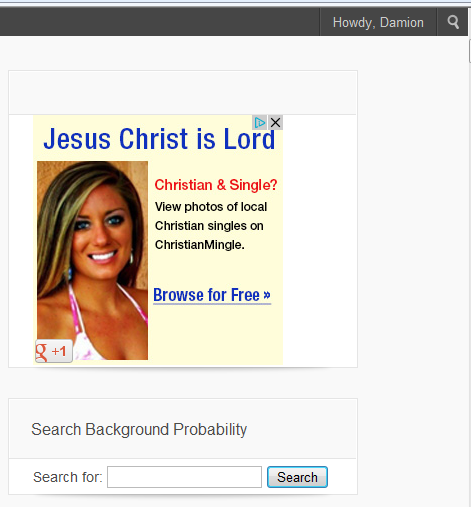 When ads are relevant, they can be beneficial. 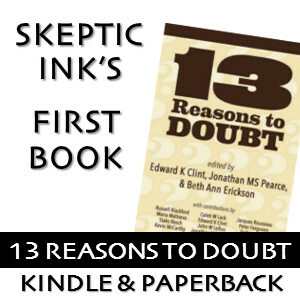 I saw an ad for Reasonist shirts here on Skeptic Ink Network and I think that’s cool. I know that seems like tooting our own horn but I have no say in the ads. I happen to think it’s a good match. Many of our readers will be into the messages and images on their shirts, so it’s a win for everyone. I was recently looking at a makeup tutorial and there was an ad for a related product. I ended up buying it and it was great. I’ve had bad luck with the ads on occasion.